Here at MDK Design Associates, we love Thanksgiving in Boston. 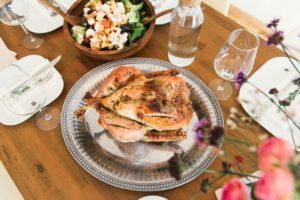 From turkey dinners (with plenty of stuffing) to the Fall decor that fills our homes as our families join us in celebration, there is something truly magical about giving “thanks” during this time of the year. That’s why we always ensure our homes are ready, stylish and filled with accessories, centerpieces and more for this Holiday Season. And that’s why we’re going to share our tips with you. Here are our favorite ways to decorate your home for Thanksgiving in Boston. 1. Bring the outdoors inside. From pears or mini pumpkins to accompany each place setting, to the sprinkling of tree leaves throughout your centrepiece, bring the outdoors inside. Using elements from the outdoors will not only make your home feel more cozy, it will also show guests that you’ve thought of eco-friendly ways to decorate your home. 2. Get creative with your place cards. If you have friends joining your dinner who perhaps do not know one another, place cards are a great item to have. We love the idea from Anderson and Grant – grab basic craft store pumpkins and purchase chalk paint in shades of green (or something naturl!) With an easy dry-brushing technique, you can turn a regular pumpkin into something that can be written on, providing a perfect opportunity to create place cards. 3. Create a door greeting for your front entrance. Nothing is more personalized than creating a door greeting for your front entrance. You can do this in many forms, but our favourite is a chalk board or written design that is held within a vintage frame. Simply hang this on your front entrance, just as you would with a Holiday wreath, and your guests will be impressed. 4. Don’t forget your mantle! Thanksgiving in Boston doesn’t happen without a well decorated mantle. Since this is the focal area of most living rooms, it’s important to make yours unique. Think antique clothespins that hold Fall leaves, vintage books, plenty of twine and mini pumpkins. 5. Get the kids involved, too.With the Thanksgiving Season comes additional guests in your home, which means that you’ll need more of everything – more cutlery, more wine glasses and certainly more napkins. That’s where the kids come in; enlist the children in your home to stamp colorful messages and designs onto napkins, so you’re well stocked for dinners and cocktail evenings around the Holiday Season. 6. Infuse your creative spirit in the table vase. The table vase is so much more than what the purpose of it actually entails. It’s time to get creative with your regular ol’ vase; that’s why we love the idea of using something vintage, like wooden spools, to hold dry leaves or branches. Plus, it looks so cute! We love Thanksgiving in Boston here at MDK Design Associates, and we hope you have a splendid Holiday Season with your loved ones! With these tips on decorating your home, you’ll be ready for one of our most favorite times of the year. Every year, Pantone releases seasonal color palettes that set the tone for the design world. So why not decorate your home this fall with the season’s hottest colors? This year’s Pantone fall report includes stunning colors ranging from warm and earthy tones to bright and bold hues to create an eclectic palette that will match any style. 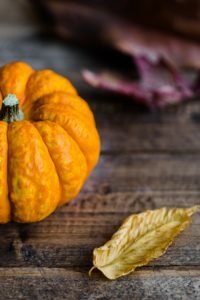 To help you choose the right colors for your home, FTD created a fall decor guide that includes tips on how to incorporate four of this season’s hottest colors into your home. Check out the guide below to inspire your fall decor! Can you believe it? Fall is right around the corner. It’s been quite the Summer here in Massachusetts, but – to be completely honest, I’m dreaming of some incredible Boston Fall interior design trends that I just can’t wait to share with you. I’ve been spending much of my Summer researching some of the latest interior designs trends that are going to hit the East Coast for the Fall and Winter. I have many clients interested in starting some home design renovations from kitchen design to adding new color on their walls. Whether it’s big or small, home renovations can come in various forms; rest assured you don’t need to have a full-scale home upheaval to achieve your dream. In fact, some of the smallest home renovations can make the greatest impact, depending on the room and overall look and feel of your home. So, if you’re looking to make some changes around your home, check out my top Boston Fall interior design trends for this 2016. Mixing material and tones in your kitchen is what we’re after. When it comes to combining various finishes in your kitchen, I’m all about mixing and matching. From wood finishes (who could have imagined mixing dark and medium-tone woods?) to different metals, and even different pieces of hardware, it’s so easy to make this change in your kitchen. If you’re looking for a small renovation change that can make a big difference, try some mixing and matching of kitchen cabinet handles in your home. From brass to silvers, from golds to metallic, it’s an easy change that can make a big difference. Kitchen back-splashes are a must. Subway tiles are still great for a kitchen and very clean. But let’s step it up a notch, I love the idea of using mixed material and textures. Combining glass and marbles, mirrored with metals or any textured tile like crackled glass. You can even take it a step further a custom design you backsplash with mosaic tile combined with laser jet marble. When it comes to Boston Fall interior design trends, it’s important to incorporate an East Coast feel with darker, but modern palettes. My recommendation would be to find tiles that you love in your local kitchen and tile store, bring it home for one week (to see if you can live with it!) and make your decision based on how it feels in your home. Neutral Fall palettes are ideal. As much as I loved bright, vibrant colors in the Spring, it’s time to make a change. Neutral Fall palettes are ideal for the Fall. Look for palettes that are both soothing and calming – think greys, blues, light hues and even creme variations. Neutral palettes are also so easy to match with the existing furniture in your home (because really, anything goes) so it’s a great option for home owners. If you know me, you know how much I love Great Rooms. Great Rooms are oversized family rooms with the ultimate comfort. Think of large family furniture, like couches, warm lighting, your favorite smart television playing a comforting family movie and the scent of fresh baked goods in the oven. Great Rooms are the go-to for families to spend time with one another like family game night, movie night or even just hanging out, so make yours comfortable this Fall. PS: The shag is back. If you spot a gorgeous shag rug in your local home interior store, grab it. They’ll be gone as we get closer and closer to the Fall. And my personal favorite – colored hardwood flooring is here. I’m closing out this list with my personal favorite trend for Fall 2016 – colored hardwood flooring. From greys, chocolates, cremes and more, colored hardwoods is so great for the upcoming season. Why? It adds uniqueness and personality to your home, while giving it a form of style and inspiration that you’ll love. It also compliments various furnishings so well. Picture how gorgeous a chocolate-painted hardwood floor will look with your shag rug and neutral side tables? Amazing. As much as I love the Summer, I’m waiting with anticipation for the latest Boston Fall interior design trends for 2016. 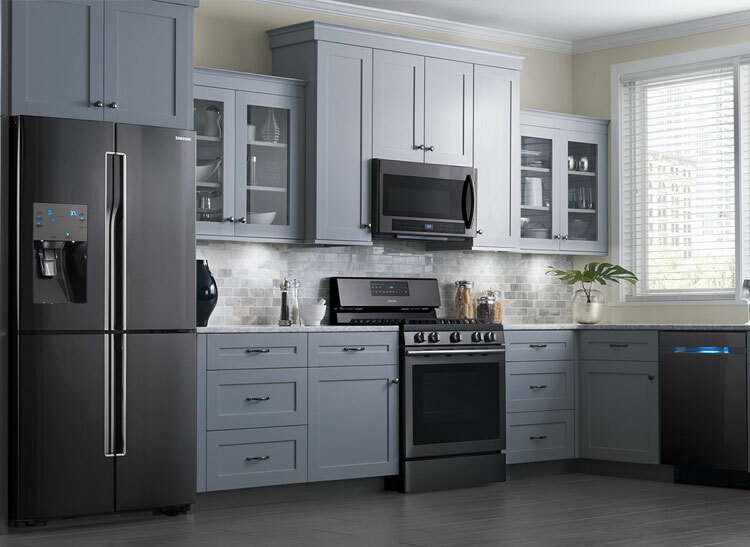 As you’re preparing your home for this new season, consider neutral palettes, kitchen back-splashes and colored hardwood as ideal renovations for your home. And remember – renovations don’t need to be large in scale. You can make simple changes in your home that will deliver a large impact. With the first days of Summer behind us, we’re so excited about some great Boston interior design trends expected over the next few months. 2016 kicked off with a great Spring, and we’re sure that the Summer will be even better. After all, who doesn’t love to spend long evenings on a back patio that has just been completely transformed for warm weather and friends gathering together? We’re working on some exciting Summer projects right now, and we’ve gathered our favorite trends along the way. These include the best of the best Boston interior design trends (shh – some of them are secrets!) that we know are sure to heat up the Summer. Check out our best Boston Interior Design Trends below. 1. Use bold, playful colors. This Summer, it’s all about bold and playful colors. We’re talking cobalt blue and bright yellow hues. Use these dynamic colors for home offices or spare bedrooms; ideally, small rooms that allow you to relax and play with the color. These colors are certainly not meant to be long-term, so they’re ideal to create a statement for a season or two before the Winter and Spring palettes are released. Where would Summer be without a little sea inspiration? With large nautical mirrors, it’s the ideal way to bring in light and reflection to your home. We love the idea of having a traditional porthole shape or using nautical rope to hang a metal framed round mirror. 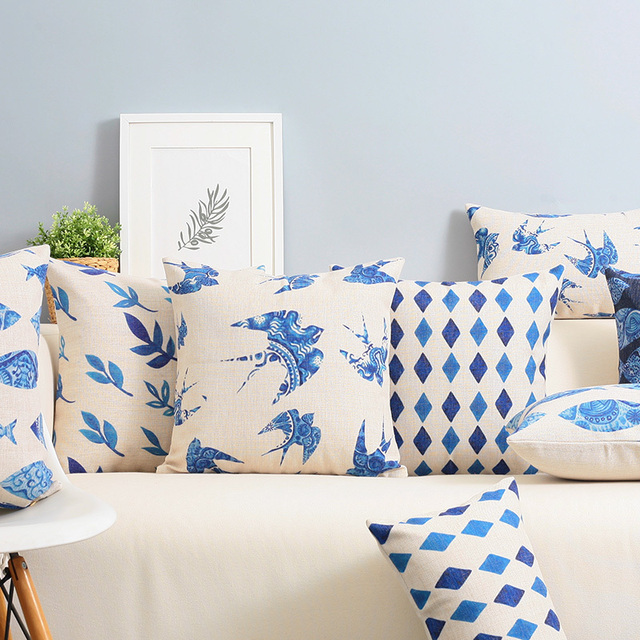 This trend goes far beyond beach style, instead bringing a voyage look and feel to any room. 3. Include a citrus splash where you can. Think throws and pillows, and then think citrus. Refreshing, right? Infuse some Summer delight with the brightness of citrus – from sunny yellows to lime greens, tangy oranges to sky blues, it’s important to find something that will energize your space. Select small items, as they can certainly go a long way with this color palette. 4. “Granny” patterns (aka: vintage florals). Remember the wall paper that was so proudly on display in your Grandma’s house? How about the knitted throws that would elegantly dress the sofa, or the patterns that were on her lamp shades? These “Granny” patterns might have been old school, but don’t fret – they’re actually making a comeback. They’re huge this Summer, and make for some easy design ideas this season. 5. Blush pink and copper = yes. With the warm Summer evenings, patios quickly become an additional room in the summer – often a room that we spend a ton of time in as the weather turns. When you’re ready to spend more time outdoors, consider changing your furniture and color choices to pale pink and copper. These colors are so flattering for any backyard or patio, as it’s elegant and chic – especially in Boston. Can you tell we’re excited about the Summer ahead? We can’t wait for those long evenings on the patio with “Granny” patterns, bright hues and blush pink furniture and accessories. 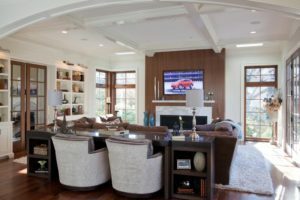 Our clients and getting ready for the season with these Boston interior design trends – and we hope you will, too! We’re sure you’re already thinking about how to decorate your home for Memorial Day. After all, it’s a long weekend (yay!) and the opportunities are literally endless to dress your home in red, white and blue. Memorial Day, formerly known as Decoration Day, commemorates all men and women who have passed in military service for the United States. It is an opportunity to remember loved ones who fought for our country. As Interior Designers, we naturally think – why wouldn’t we remember our heroes than with a wonderfully decorated home and get-together with friends and family? 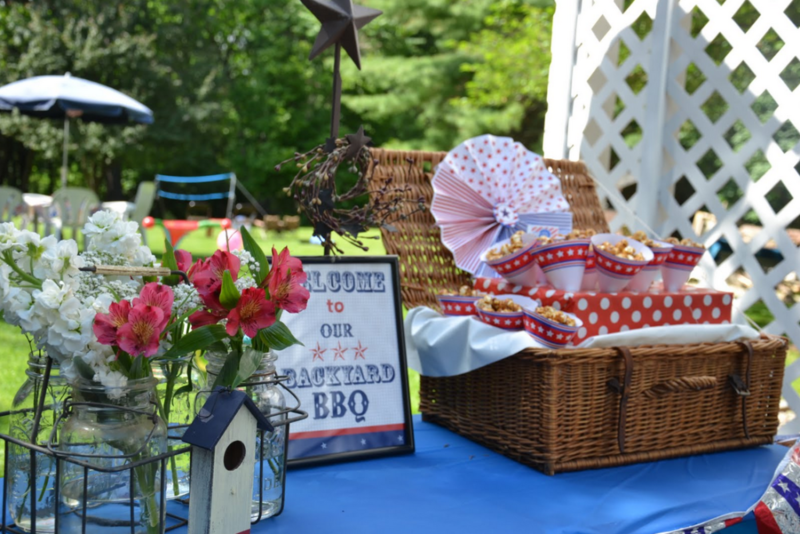 If you are hosting your friends and family for Memorial Day, we have our tips and tricks to decorate your home. Create a cozy outdoor environment. On a long weekend, especially Memorial Day, your friends and family want nothing more than to relax in the outdoors. Consider highlighting your fire pit or purchasing a small outdoor fire prior to the weekend. It’s a small investment that you certainly will not regret. Check out some fire pits online here. Set your table with red, white and blue. After all, that’s the whole point of Memorial Day, right? We’ve seen some gorgeous centerpeices at local craft stores, but we also recommend getting crafty and doing some DIY. Grab an outdoor-friendly candle and spray paint (ensure it’s anti-flammable and safe for candles), and place red, white and blue candles throughout your backyard. While you’re at your local craft store, pick-up some red and blue table napkins, and consider tying them with rustic twine. Ready to invest in outdoor furniture? Now is the time. The outdoors have long been cherished as an area to relax and re-charge, and now is the time to invest in new outdoor furniture if it has been on your to-do list for some time. 2016 is all about the natural appeal of Rattan and Wicker, which is something that we absolutely love. You can make Rattan and Wicker look so elegant with added pillows, and these materials are truly stronger and more durable than ever. The verdict is on on place settings for the outdoors. If you don’t want to inundate your outdoors with our country’s colors, stripes are a hot trend for the outdoors this year. Play it up in a vintage inspired table setting and make your outdoors feel more rustic than ever. Consider a mid-day alfresco lunch with your friends and family, and use durable-but-stylish melamine plates. It’s all about functionality and design in Summer 2016. Focus on your desserts (and the accompanying trays). We love desserts. For better or worse, there’s something about a sweet cupcake or pie after a BBQ dinner. Don’t you agree? While you are thinking about how to decorate your home for Memorial Day, consider making your accompanying dessert trays and accessories very patriotic. We love this example from Martha Stewart. She used the cutest raspberries to top her cupcakes and found small flags to add to her cake holder. It’s a great addition, and the little ones in your home will love it. Ready to clean that garden? 2016 trends for the outdoors are all about being subtle, and that extends to your garden. Before your friends and family arrive on Memorial Day, ensure your garden is clean and organized. Don’t fret about planting anything new. In 2016, we’re all about keeping things simple. Before the weekend, take some time to organize your front and backyard gardens. As you decorate your home for Memorial Day, remember what the long weekend is about. As we commemorate our lost heroes, we hope you can celebrate and reflect on our freedom and country. Mother’s Day is quickly approaching and we’re totally focused on interior design tips for Mom here at MDK Designs. While Mom’s can be the most difficult to shop for (after all, who could be more selective – and have better taste – than they do?) we’re convinced that your Mom would absolutely love interior design tips and ideas from the heart for Mother’s Day. To celebrate Mother’s Day and help you impress your own Mom with a fabulous and thoughtful gift from the heart, we’ve put together 8 interior design tips for Mom. Many Interior Designers offer consultations. Though these consultations you can learn so much about current trends and tips to make your home feel like your own personal oasis. 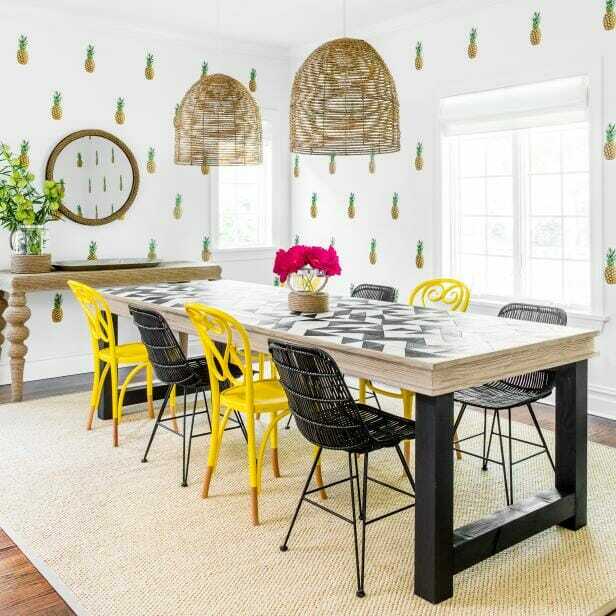 If your Mom has been dreaming of updating her kitchen or giving the backyard patio a facelift, consider giving Mom an Interior Designer for the day. You can contact me here to get started. Mom’s love when homes are organized – and so do we. For Mother’s Day, consider organizing the mud room that needs attention, or perhaps the master bedroom that requires a deep carpet clean. Nothing is better than being surprised with a clean home. Trends for 2016 in the bedroom point to textures and patterns, and interior design tips for Mom point to needing a new duvet! If she’s been dreaming about updating her bedroom or guest room, consider purchasing a brand new duvet. New duvets can completely change a room without requiring a large investment. 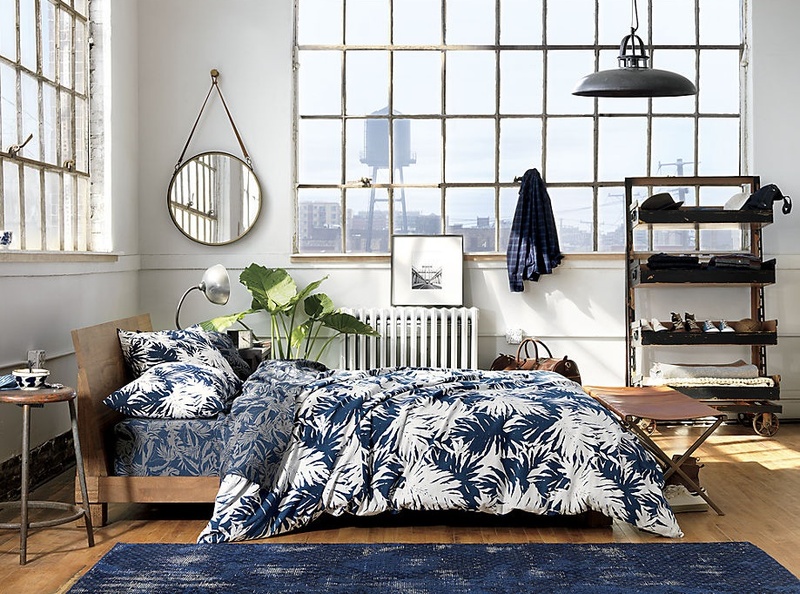 This duvet from CB2 is one of our favorites. Everyone loves to display their new knife set, and it’s even better when it comes in a stunning display. This set from Wusthof, for example, is an eight piece deluxe box set that is finished in a dark cherry wood knife block. It’s the perfect addition to a kitchen, an even more impressive gift from a family member, and one of our favorite interior design tips for Mom. This is a luxury that most of us take for granted; however, consider booking a house cleaner for your Mom. Although we’re certain she loves the way she cleans and organizes her own home, there is a great feel knowing that you simply don’t need to worry about cleaning your own home for one week. From cutting the grass to planning the new vegetable garden she’s been dreaming of, consider landscaping gifts for her backyard. If she loves to garden herself, consider spending the day with her and greasing your elbows to give her some assistance. Two sets of hands are always better than one in the garden. Bringing your herbs and vegetables fresh from your garden is so trend-worthy in 2016. We love the idea of having your own vegetable garden, and we especially love this idea to keep your herbs contained and fresh in the kitchen. This herb keeper is just one example of bringing the outdoors inside, but it’s one that we love for Mom’s. Throw pillows can make some major updates to your living room for a very minimal investment. The best thing about throw pillows is that they can be changed on a whim. Consider purchasing a few different options for your Mom so she can update her living room when she wants, as she wants. To all of our Mom’s, we wish you a very happy and celebratory Mother’s Day! We appreciate your hard work and dedication to your families, and certainly hope your loved ones have spoiled you with these interior design tips for Mom. Interior design patterns play a significant role in transforming the look of your home. For example, when designing a floor plan for your new home build there are so many things to consider. 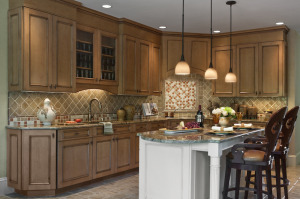 From the kitchen to the mud room, to deciding where your gorgeous new chandelier will be placed, the interior design pattern decisions are endless. These decisions are both big and small, but all will have significant impacts on the end result of your home. It can be difficult to keep track of all the best practices you need to know as you work with an interior designer to plan your home. If you want to get a head start, we’ve put together our top 5 tips you need to know for the interior design pattern of your home. We recommend placing the front room near the front entry. In this case, it will be accessible to many of your house guests, as well as your family. To make this decision, think about the style of your house and the surrounding rooms. Determine if they are traditional or contemporary. You will want to ensure that the mudroom reflects the style of your home, The reason why we recommend placing the mud room near the front entry is because you’ll want to drop coats, umbrellas and bags in this area, making it easily accessible near the front room for the interior design pattern. According to Vastu Shastra, the interior design pattern system of architecture, which literally translates to “science of architecture”, the kitchen is the most effected area of the house for energies. This part of house is to be situated on its corresponding place i.e. South-east governed by element Fire. The kitchen is the important part of home and is the primary contributing factor in general health and well-being of occupants. Because you want a good energy foundation for your bedroom, which is meant to be the most peaceful and nourishing energy, it is best to locate your bedroom above an area with peaceful or balanced activity. The best location is in the back of the house where it is more or less ‘hidden’ from the main energy traffic. One of the questions we are often asked is, “where do I place the main floor bathroom?” and our recommendation is always between the entrance hall and kitchen. Why? For many reasons, but mostly because you do not want your guests to wander through various rooms to get to your bathroom. During dinner parties, and for simple layouts, it’s far easier to place your bathroom in an easily located area of your home. 5. Ensure your living room has two outside walls. In feng shui, the living room should be located in the part of your home that has at least two outside walls. You should avoid having the living room nestled deep insight your home, and instead place this room in an area that will allow energy to enter the room from the outside. The placement ensures fresh and clean energy for your home. It’s not just the location of the room that you want to consider, but also how you place the furniture in that room and also what type of furniture you get. So if you want to have a nice and inviting living room then you should get something like this gloss TV unit white to make the room feel more welcoming. There are so many “rules” for room placement and the interior design pattern in your home, but we ultimately want to ensure that you enjoy the layout of your home and design a living area that is functional for you. From layout beliefs like feng shui to simple practicality, ensure that your home is practical for your family. 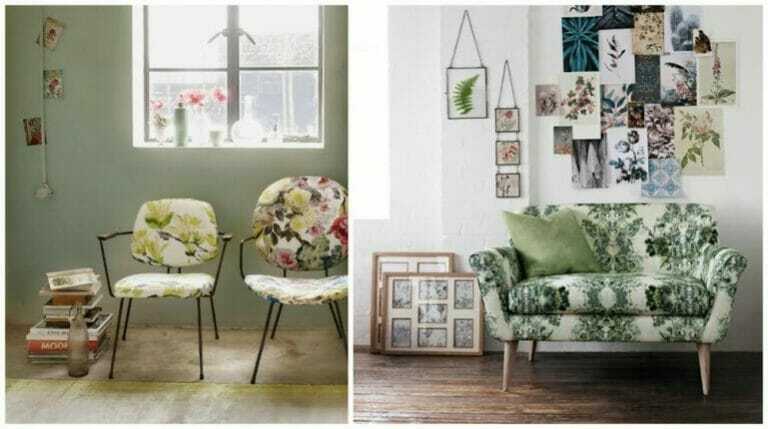 With Spring upon us and the weather starting to turn for the better, what better way to celebrate sunshine than with a quick Spring Interior Design refresh in the home? Now is the ideal time to clear out anything you’re no longer in love with (or even really like) and give your interior decor a refresh. To help start this process, we’ve gathered the latest home trends that you should be prepared for in the Spring. Below are the 7 Spring trends you need to watch for now. 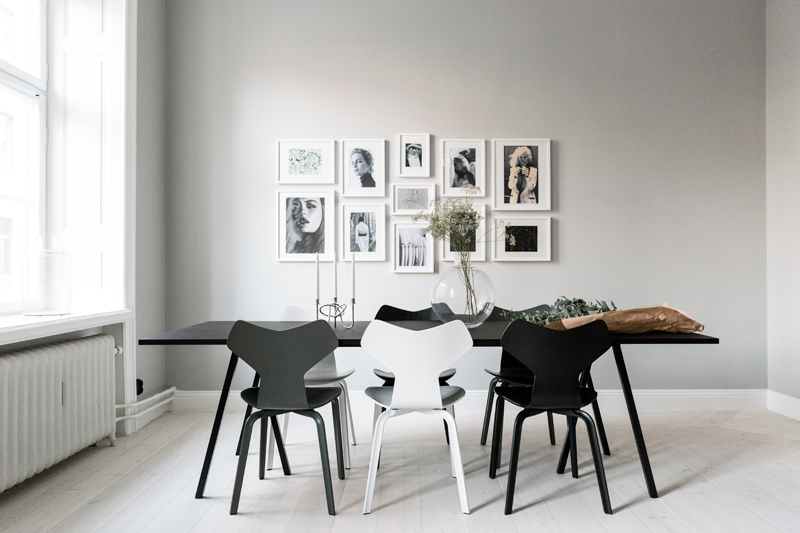 Minimalism is totally in for Interior Design Trends in Spring 2016, and so is black and white decor. Although color palettes were all the rage last Spring – especially palettes with pastel features – this has been replaced with black and white. In fact, black and white decor has increased 40 percent since last year on Pinterest. Minimalism is here, and it’s here to stay for 2016 Spring Interior Design Trends. From kitchen decor to living room furniture, and even master bathrooms, opt for minimalist, yet functional. We haven’t seen marble for a long, long time, but it’s back for the 2016 Interior Design Spring trends. It was huge at the NY NOW showcase, but don’t worry – it won’t break the bank. This Spring trend is all about the small touches of marble, such as clocks, coasters, additions for your side table and even candleholders. Think minimalistic, remember? Though dark, fresh hardwood was in for 2015, light and fresh flooring just screams 2016 Interior Design’Spring’ trend. We’re seeing plenty of sophisticated gray hardwood flooring – and don’t be afraid to pair this with wooden wall art or even an accompanying wood dining table. To accompany the light and fresh flooring, we’re loving the Interior Design trend of black stainless steel appliances. Houzz even predicts that this is the Interior Design trend of the future, and we’re excited to see it kick off in Spring. Although a plain, rectangular mirror will absolutely get the job done (it’s functional, we get it), we believe this will be the year of the statement mirrors, especially in bathrooms. Look for unique mirrors with vintage frames, or even smart mirrors with LED lighting. While 2015 was the year of vintage, Spring of 2016 will be the season of the country kitchen. Modern and rustic farmhouse kitchens are all the rage, especially on Pinterest. From black and white decor to country kitchens, from statement mirrors to light and fresh flooring, there will be plenty of 2016 Spring Interior Design trends that any home will love. Have questions about these trends? Contact us here. Super Bowl 50 is right around the corner. With the Panthers and Broncos set to battle in San Francisco, and last year’s average audience drawing 114.4 million viewers, there are sure to be parties on just about every block in your town. 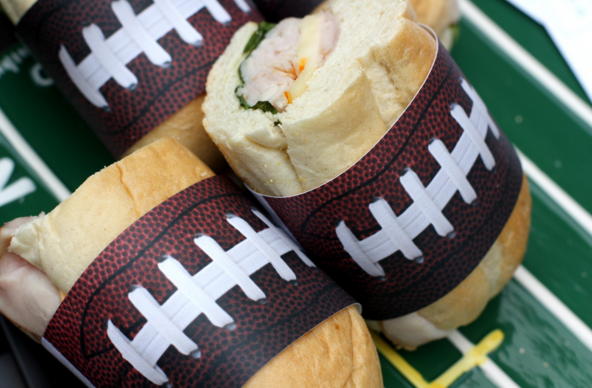 If you’re hosting this year’s Super Bowl 50, is your home prepared for kickoff? From beverage tags to table decor, there are so many ways your home can become festive in no time. We’ve put together ​7 Ways to Prepare Your Home for the Super Bowl. Read on. We love the idea of bringing the turf inside your home. Head to your local hardware store and pick-up a small amount of turf or faux grass. Cut your turf into small circles (it’s easier than you think) and place them on various side tables. It’s a unique, creative touch. When you’re not in a bar, you can bring your favorite sports bar snack home. For a DIY project, wash and cut potatoes into wedges or small french fry strips. Sprinkle some oil and place them in the oven, so you can create your very own, home made french fries. For an additional kick, you can also pick-up sweet potatoes or yams and create sweet potato french fries. To truly re-create the bar feel, serve them with a variety of toppings like spicy aioli or home made ketchup. Voila. Making an easy, eat-with-your-hands Super Bowl meal? Bring your meal planning to the next level with downloadable wraps. We love this downloadable PDF here. All you need to do is print and place around your sandwiches or wraps. It’s easy. You can turn an ordinary food table into a “Concession Stand” in as easy as 1, 2, 3. Use artificial grass as a table cover, and add an easy DIY printable banner. Create treat bags filled with your favorite stadium food – like popcorn, pretzels and mini-donuts. Need inspiration for beverage tags? Everyone needs beverage tags; to ensure your beverages aren’t placed in the wrong hands, it’s important to leave markers and tags around your home. For this event, head to your local craft store and pick-up ribbon, green, white and brown paper products. Cut small circles and one oval. See our photo to the left for inspiration. If your guests haven’t participated in a football pool this year, have each guest predict the winner’s final score. Playing is simple – write each guess on a tag and tie it to his or her beer stein or glass (remember the tags we created above?) Whoever ends up closest to the correct score wins. If you’re not a fan of the half-time show (or simply don’t want to sit through commercials) create your very own half-time entertainment. Grab a Polaroid and some fun props – like footballs, pom poms and even a megaphone. Encourage your guests to take their photos home and even share on social media. Whether you are hosting 5 close friends, or perhaps your home is filled to the brim with neighbors, we are sure this Super Bowl 50 will be outstanding. Turn your home into a festive party to remember! Can you believe it? The Holidays are nearly here, and – if you’re like the majority of shoppers – you’re scrambling to put together last-minute Holiday gift ideas. If you’re lucky enough to be hosted by friends or family for your Holiday dinner, you might also be scrambling to find last-minute gift ideas for the Host in your life. Why not show your Host just how appreciative you are of their efforts with a thoughtful, personalized gift? Even if you’re shopping last-minute, there are so many options to choose from. We’ve even pulled together our favorite last minute gift ideas below. It’s true – you can purchase cutting boards from nearly ever home and interior design storefront you walk into, but why not find something personal for your host? We love these cutting boards from AHeirloom, but you can find some simple additions at your local craft store, too. Everyone loves new guest towels – and the best part is that you can always find colors and accents to match. Even if you’ve never stepped food into your Host’s home, select your towels from a neutral color palette. Guest towels can add glitz and glamour to even the smallest and darkest spots, like the bathroom. Everyone loves candles, right? 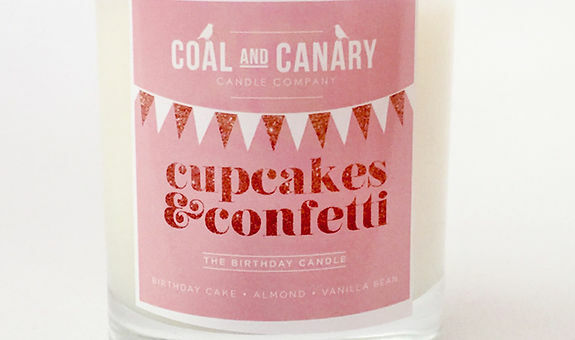 Unique and quirky candles are popping up everywhere. Take Coal and Canary, for example. A small business out of Winnipeg, Canada, they were featured and included in the GRAMMY Award Gift Bags for 2015. If they’re good enough for celebrities, quirky candles will be just perfect for your Host. Grab a few unique candles from your local craft store, or order online before your Holiday dinner. A sophisticated set of coasters will be the perfect accompaniment with your presence at your Holiday dinner. There are some fabulous options that you can purchase both online and at your local stores. This set from Etsy is to die for; made from unique and sturdy materials, this option would look sleek, classy and modern on any table. You can find alternatives (and similar options) at a local Anthropologie or interior decor brick and mortar location for last-minute pick-up. You can never have enough decanters, right? When it comes to wine decanters, the more unique – the better. We love wine decanters that can help tell a story, or even begin a conversation. Having an item that can sit on your table with a lively, off-kilter attitude is the perfect addition to any dinner party – and a Host gift that will always be remembered. From our family to yours, we wish you the happiest of Holidays this year! Whether you are celebrating with friends or enjoying quality time with family, we hope you enjoy the time ahead.